Lets talk about this Ginger Beer and how it’s been sitting in my fridge for the past 3 months. Just sitting there, with a pouty face-saying why won’t anyone drink me? Truth be told, this little guy ended up in my fridge after a little jaunt to the local international market down the road. One thing led to another and yada-yada-yada this little guy ended up shoved in the back corner of my fridge like a wall flower at a middle school dance (totally went there…I know). As I always say, nobody puts Ginger in a corner…time to let your flavor, freak flag fly in this delectable ice cream combo! 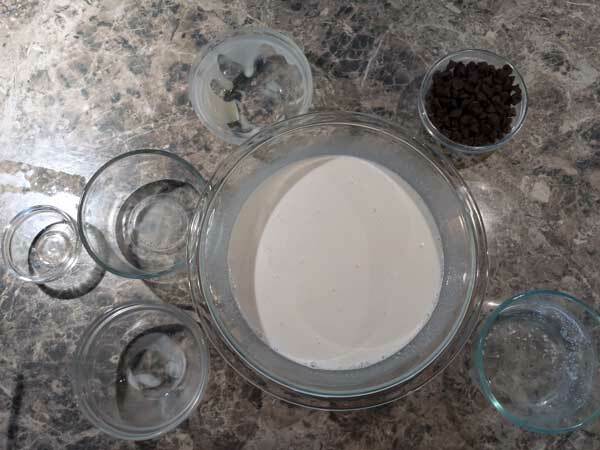 Here are the major players in this ice cream batter…sweetened condensed milk, half and half, heavy whipping cream, rum, and ginger beer…OH and chocolate chips…LOTS of chocolate! 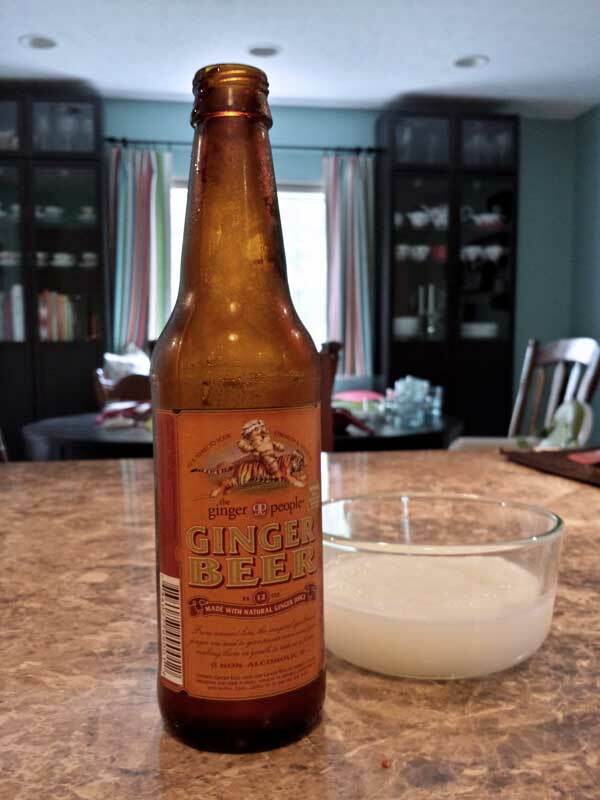 In a glass bowl mix together the sweetened condensed milk, half and half, heavy whipping cream, rum and ginger beer. Cover and store in the fridge for 6-8 hours. We want the ice cream batter to get very cold…this would be a good time to prep the ice cream maker in the freezer. Once your ice cream maker and batter are cooled to perfection it’s time to make the ice cream. 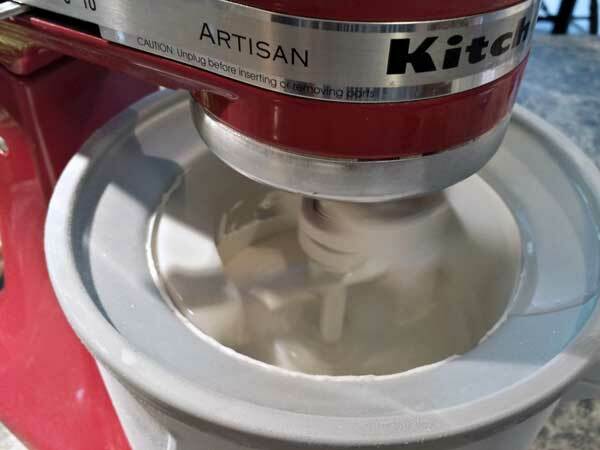 Add batter to ice cream maker and churn to desired consistency. Mine churned for about 10-15 minutes. Once the batter is the consistency of a loose frosty add your chocolate chip mix ins to the batter. 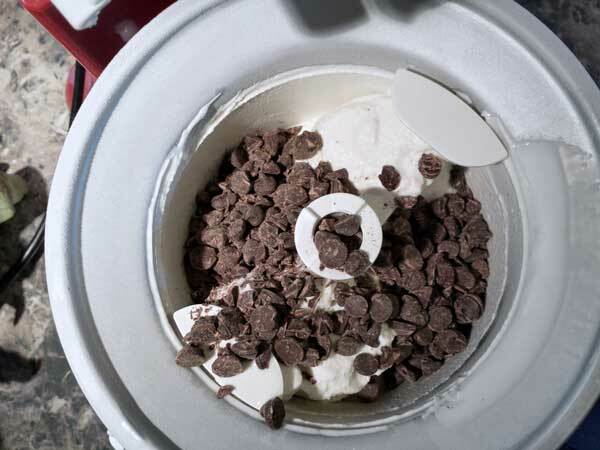 Allow to churn til the chocolate chips are mixed in appropriately. Scoop ice cream into quarts to store in the freezer. At this point I like to allow the ice cream to set up in the freezer for about 4 hours or so…but if you are of the “ice cream soup” connoisseur group you can dive in with reckless abandon. The ginger taste is refreshing with the added crunch of the chocolate chips. And the rum adds subtle complimentary notes to the overall flavor. 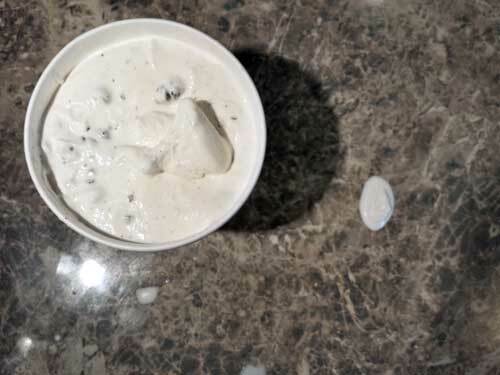 Which reminds me-the rum makes this ice cream NOT kid friendly; however, if you want to leave it out so your kids can enjoy that would be just fine! This recipe is one of those you can really play with and make it your own by choosing your favorite flavor soda and mix ins. What kind would you choose? Let me know in the comments below…I would love your inspiration! 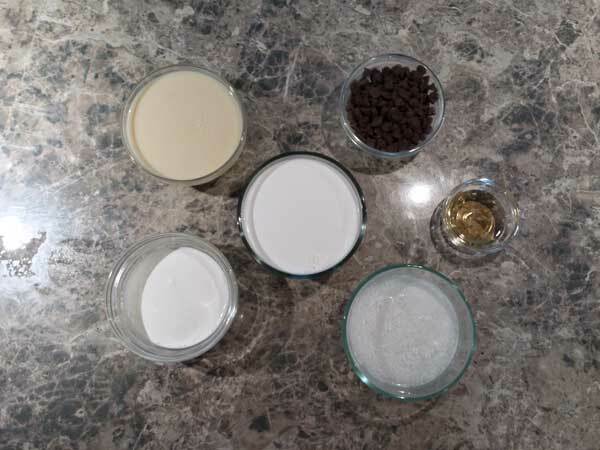 In a glass bowl mix together the sweetened condensed milk, half and half, cream, ginger beer and rum. Cover and refrigerate for 6-8 hours. Meanwhile, prep your ice cream maker. When batter and machine are ready, churn the ice cream for about 10-15 minutes. Add the chocolate chips in the final 5 minutes of the churning. 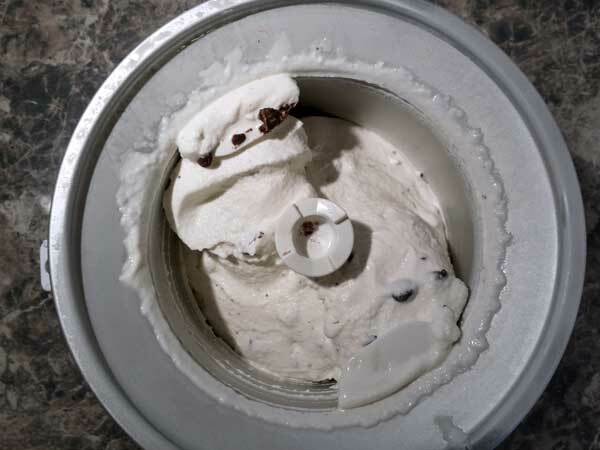 Once the ice cream is finished, store in freezer and allow ice cream to set for about 4 hours before serving.